Sorry for the lack of posts lately. If you follow me on Instagram you’ve probably seen my posts about how my whole family got super sick. We’re on the mend, and I figured I’d get a post done! 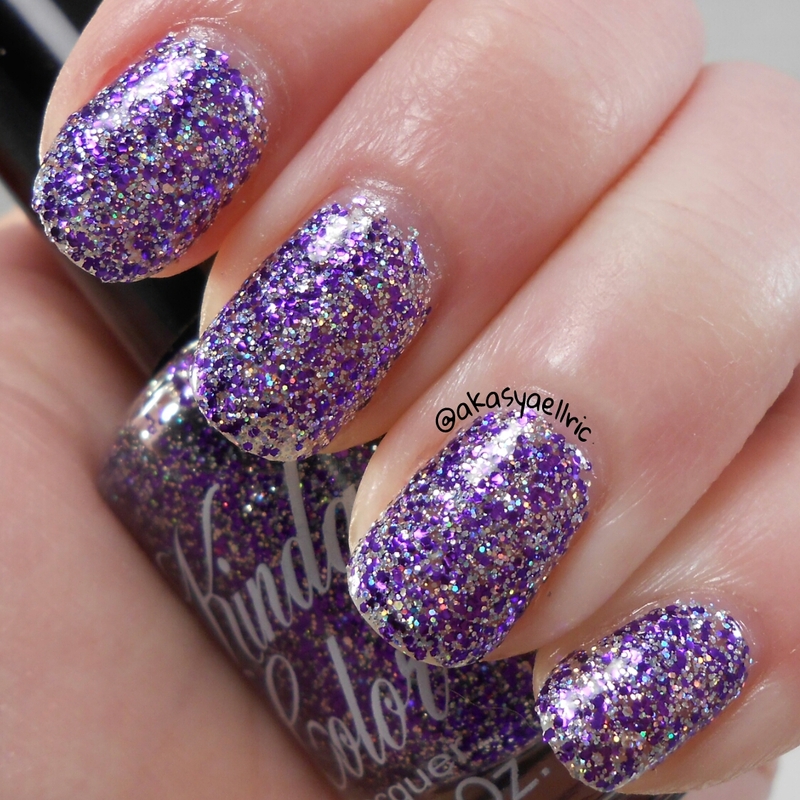 Today I have the new Sparkly Collection from My Kinda Color, one of which was named after me! They are all glitter bombs that have a colored glitter and holo glitter. They’re all magnificent as well. On to the swatches! 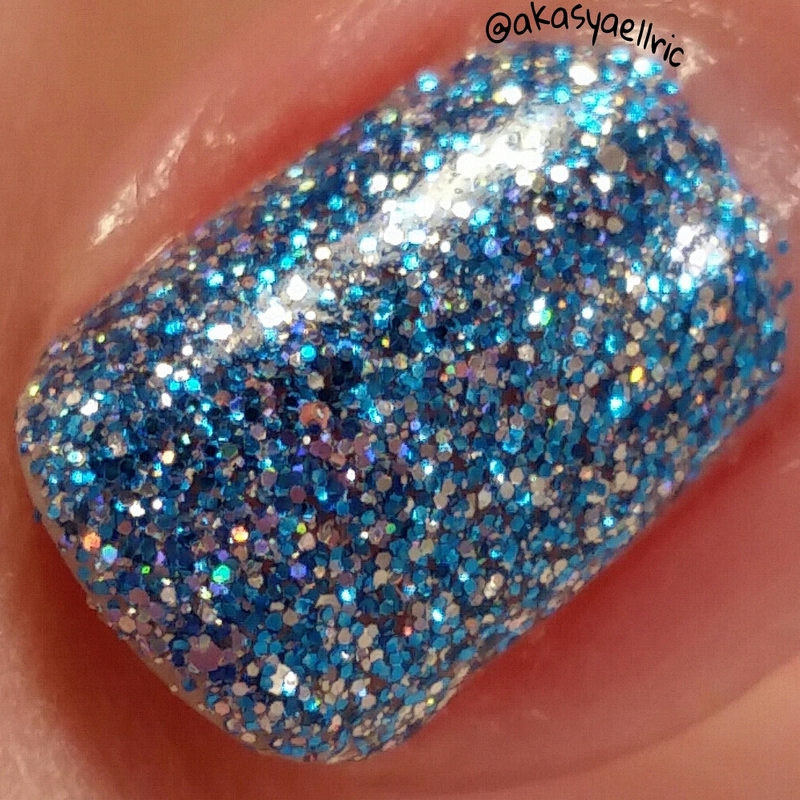 This is Jessica, a blue and holo glitter bomb. It can be used as a topper or opaque at three coats. Products used: Dainty Digits Polish Glitter Be Gone basecoat, My Kinda Color Jessica, I, A.M CustomColor DiamondPRO topcoat. 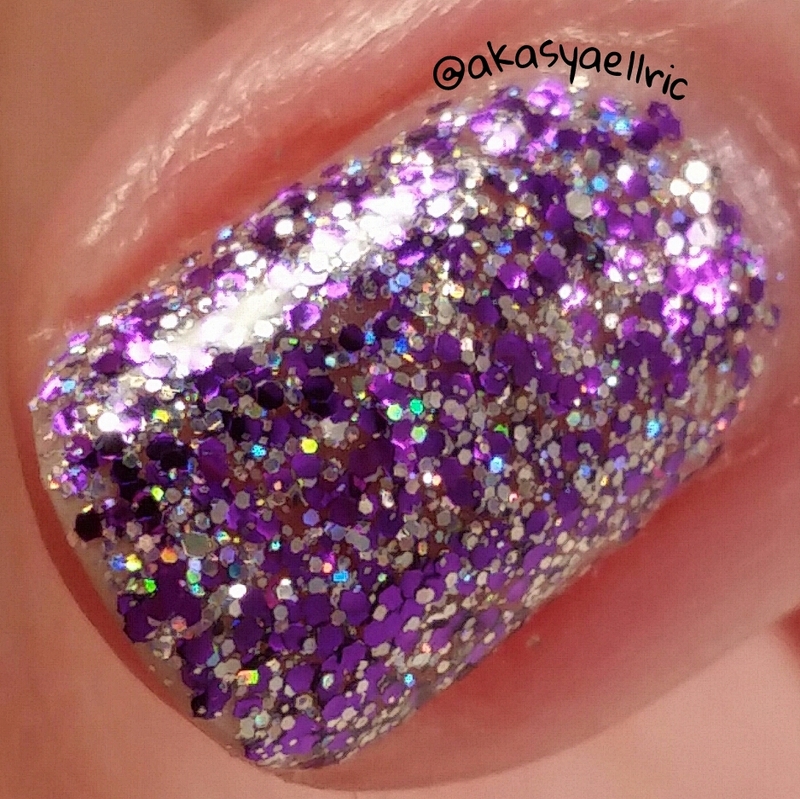 This is Sassy, a purple and holo glitter bomb, opacity at three coats. 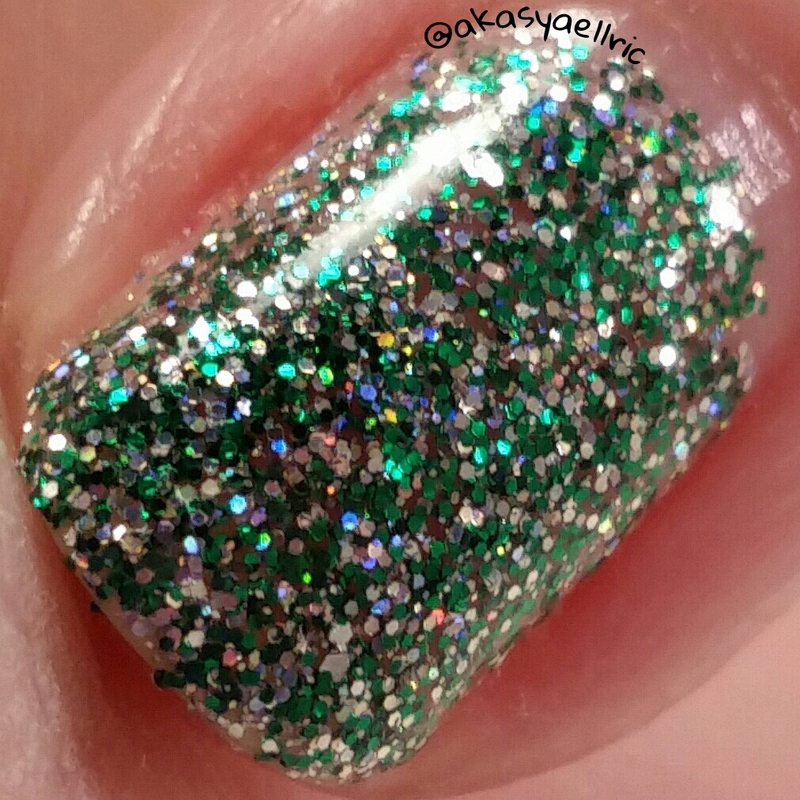 As you can see, Sassy has a larger glitter than Jessica, so it changes the way the color lays, just a little bit. Products used: Dainty Digits Polish Glitter Be Gone basecoat, My Kinda Color Sassy, I, A.M CustomColor DiamondPRO topcoat. 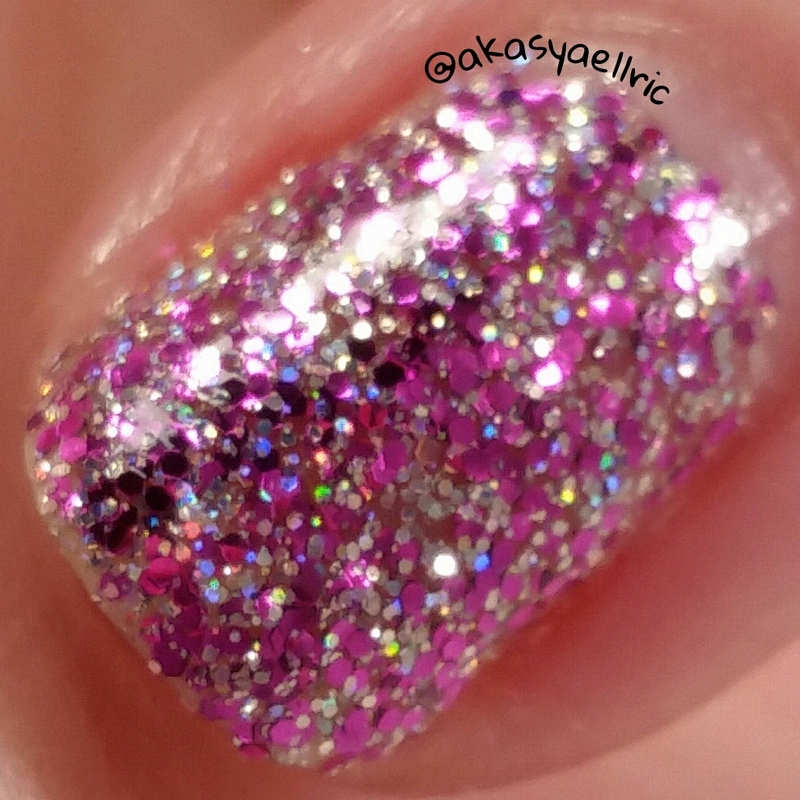 This is Flirty, a pink/fuchsia and holo glitter bomb, opacity in three coats. Flirty has the largest glitter out of the bunch, but I really liked how they weren’t all the same. Products used: Dainty Digits Polish Glitter Be Gone basecoat, My Kinda Color Flirty, I, A.M CustomColor DiamondPRO topcoat. Last, but not least, this is Morgan, the one named after me! Green is one of my favorite colors, so I was honored when Patty asked if she could use my name for it. Morgan has a finer glitter just like Jessica, but with both you can see the holo along with the colors. Products used: Dainty Digits Polish Glitter Be Gone basecoat, My Kinda Color Morgan, I, A.M CustomColor DiamondPRO topcoat.